A toy elf comes to life to spread some Christmas fear. Following an excellent festive title sequence, this film opens in earnest with a couple browsing around a sprawling store that seems abandoned. It’s unclear why they’re there or what’s going on with the store as a lot of the items there are shrouded in cloth, though nothing in the initial space seems that old. The female (Victoria – Natassia Halabi, duckface-selfie ready) finds a toy maker's ledger, which seems to fascinate her for no apparent reason. Meanwhile, he (Nick - Gabriel Miller, indescribably inept) dismisses her concerns with disdain, before wandering off into a back room to find a toy elf that explicitly explains that he will be cursed by it if he touches it, so he promptly ignores that and plays with the elf. Victoria gets a phone call from her friend that I presume is meant to explain why they’re there, but doesn’t at all, and the odd pauses between each reply makes the entire conversation seem contrived and stilted. She gets a jump scare ‘man at the window’ moment and literally jumps - bit of an over reaction love! Once home (after a bizarre encounter on the way that does nothing to advance the plot) they realise the elf has followed them home. She disposes of it, but you know it won't be that easy, and sure enough, before you can say ‘surprise Christmas eve party with all her family’, the elf is back, and this time – to kill. The grandparents are summarily dispatched by the killer elf, though I’m not sure how as you only see their reaction to finding him and a rocking car... sigh. Victoria’s brother decides to beat up Nick while they are looking for the grand-folks and it’s the most believable performance in the whole movie; pity he’s not in it for long and we are stuck with woeful Nick for the duration. It turns out that Nick has quite a troubled background that Victoria’s parents knew about all along, and after her dad drops this bombshell during an argument, Mum says “we just didn’t know how to tell you” - so I guess just blurting it out over the eggnog was the best bet. The Worse Carollers in the World™ show up and campily order them to listen to one song. Luckily the elf is on hand to shut up their caterwauling once and for all and attacks them with Christmas lights and obvious snow machine effects. The people in the house hear nothing apparently, or they’re just pleased the singing has stopped and are ignoring the accompanying screams and agonising death gurgles. Once the violence starts, things somehow get even worse. Nick and Vic just stay upstairs for an inordinate amount of time discussing the ins and outs of the elf legend - a ridiculous amount of exposition that stops the action flat. It becomes even more apparent that there is no chemistry between the leads, and their interactions are uncomfortably stilted. Once back in the action, Nick promptly falls into some feeble stupor that consists of lying like a fish and rolling his eyes about crazily. Vic is overcome by the elf when she decides to confront him from the seated position - smart! There’s a battle, followed by the obligatory ‘it’s not over’ ending. The problems with just the basic plot are many. Firstly, it’s hard to be afraid of something shorter than your knee brandishing a pocketknife. If these people just stood up, a swift kick would take care of business. No one enquires about calling the police or an ambulance even though they have workable mobile phones and people with obvious terminal injuries. Mom tells her daughter’s friend (who’s on her way to spend Christmas with them) that there’s a killer on the loose and the friend also doesn’t call the police. Victoria wanders around in the snow in a cropped singlet. At one stage the elf is found hidden to attack from inside a gift - where did the box come from and how did the elf wrap it from the inside? And what’s the purpose? He just wanted a challenge? There is also a scene where Victoria takes cookies out of a hot oven and they are already iced! The acting is almost impossible to describe. The actors seem bored all the way through and deliver lines as if read from very slow cue cards; there is little inflection and there are pauses in odd places. They argue with all the passion of a toaster. Sometimes they just stare at each other for so long it seems someone must have forgotten to yell cut. The daymare sequence was creepy and effective with Nick as a child wandering through statue-still party goers, but it is ruined by the adult Nick’s odd enactment of someone being tormented by that daymare - it’s just bizarre. He is one of the least believable actors I’ve ever seen; the performance is so bad it’s actually comedic. The writer/director, Justin Price, also has scenes where actors literally back into the camera or walk behind furniture and are obscured. 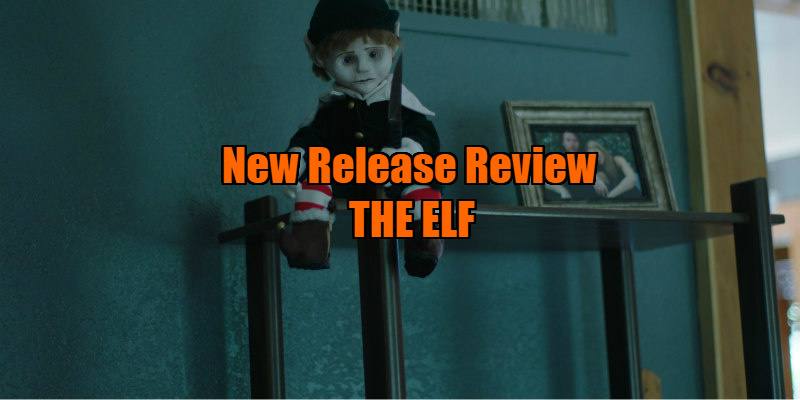 The CGI elf however, is actually well done and convincing, though it’s maybe an alarm bell for indie film makers if their budget is less than their credit card limit and their CGI still out performs the actors. Do not unwrap this present - it’s a lump of coal. 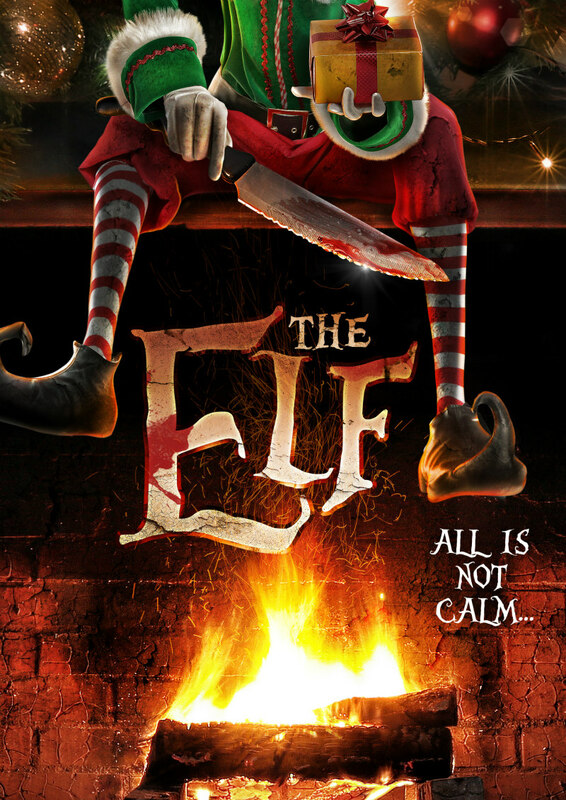 The Elf is on VOD November 7th.